↑ Alberts B, Johnson A, Lewis J, Raff M, Roberts k, Walter P (2002) Molecular Biology of the Cell. Garland Science: New York, NY pg 1367. 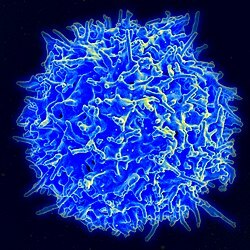 "T cells and B cells derive their names from the organs in which they develop. 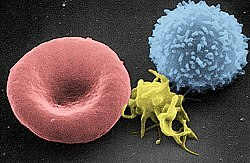 T cells develop in the thymus, and B cells, in mammals, develop in the bone marrow in adults or the liver in fetuses."